The SXSW Art Program creates a platform for visual artists to connect with international leaders in the fields of music, film, and technology by showcasing innovative projects and hosting discussions during SXSW. 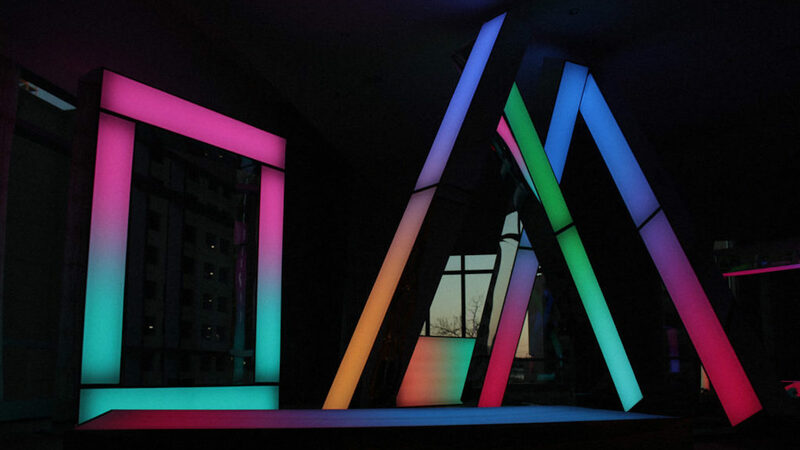 In 2019, you’ll experience one-of-a-kind art installations by both established and emerging artists throughout SXSW venues and throughout Austin. 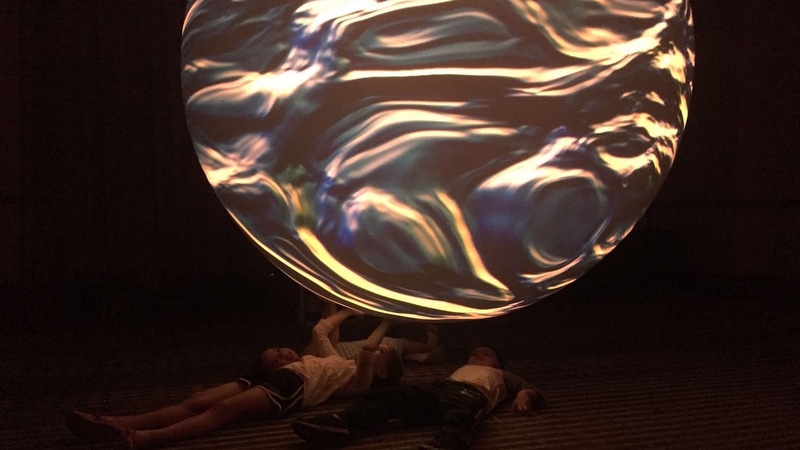 The SXSW Art Program showcases experiential and conceptual visual artworks that apply emerging technologies and immersive environments to spark discovery, inspiration, and connection. 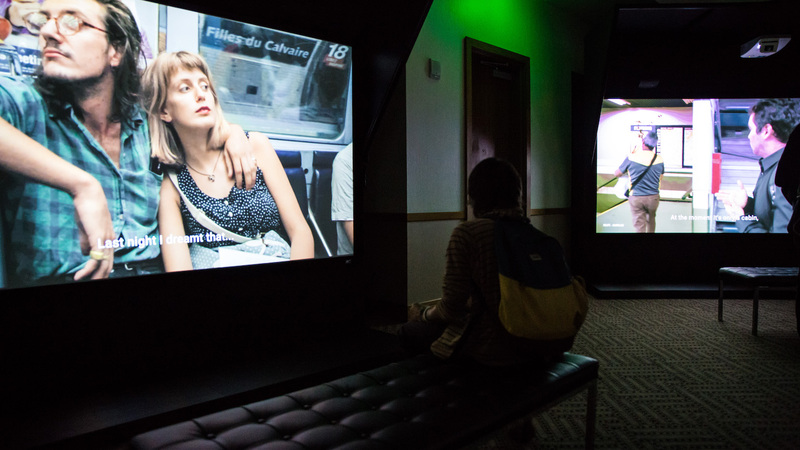 Incorporated into the broader ecosystem of creativity and innovation at SXSW, the art program serves as a launching point for collaborations and discussions around the role of visual and digital media arts in culture, technology, and the public realm. 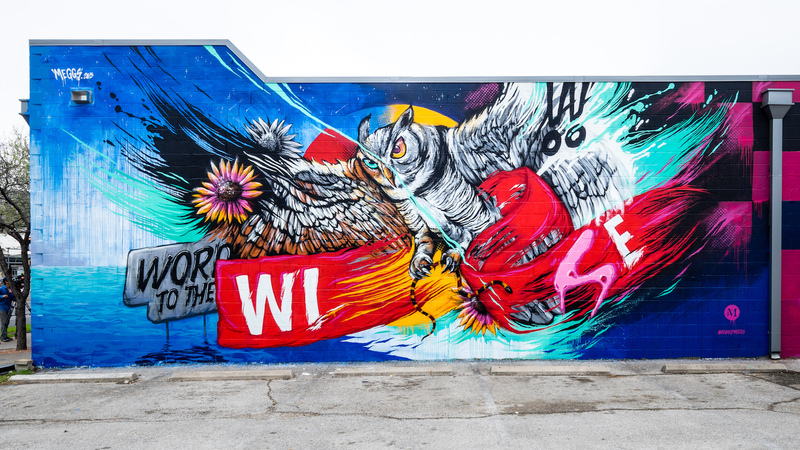 Official selections of the SXSW Art program are chosen on the basis of their ability to enhance the landscape of the SXSW Conferences and Festivals and bring meaningful inspiration, joy, and discovery to attendees. We strive to showcase work from both emerging and established artists whose vision reflects the values of SXSW, including creativity, culture, storytelling, innovation, and social engagement. 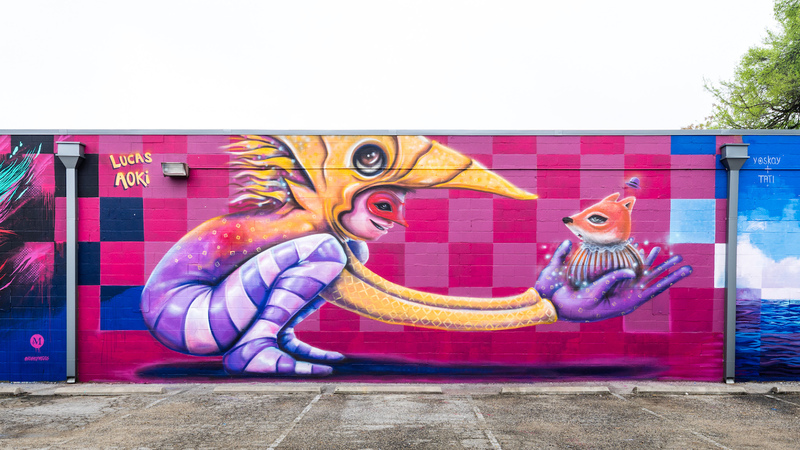 The SXSW Art program offers artists a unique platform to show their work within one of the most diverse, collaborative, and inventive communities in the world. Artists will have the opportunity to engage with individuals and organizations across many sectors, while debuting their work in front of the creative communities that converge at SXSW in Austin. Magnetic tape was the primary medium used in the Polish Radio Experimental Studio. We’re also using two types of “tape samplers” – two 2-track loops and three one-shot linear tape samplers. To obtain noise and basic tones we’re utilizing purely analog optical generators based on spinning discs with graphical patterns. 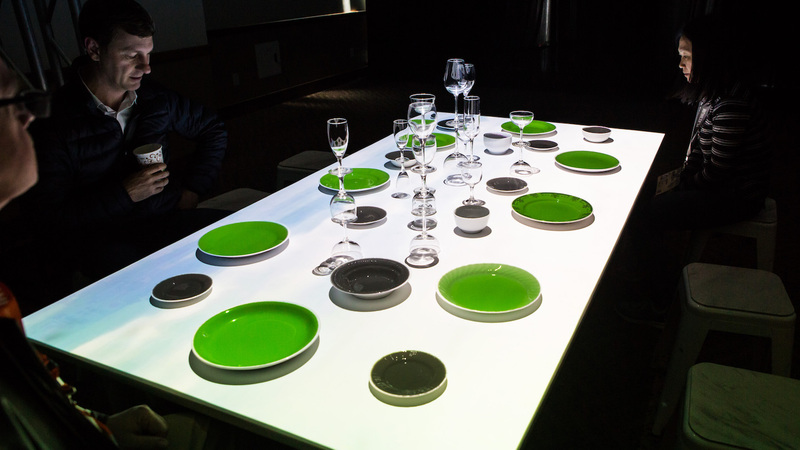 For many in the developed world, life can be consumed with material objects. Our possessions inadvertently become everything to us. We accumulate stuff that embodies who we are or what we care about. But what if you had to flee your homeland forever? What’s the one item you couldn’t live without? 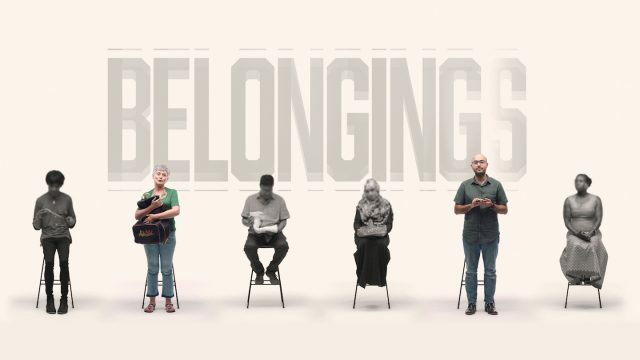 Created by SBS Australia’s Digital Creative Labs and using technology developed by Google’s Creative Lab, Belongings shares tales of displacement, resilience and hope spanning decades of migration, diverse cultures and stages of life. The work was created through community storytelling workshops where participants were invited to bring an object they fled with. The outcome is an uncut story recorded in one take that reflects the complex journeys those seeking asylum in Australia continue to face when their time in their homeland is cut short. 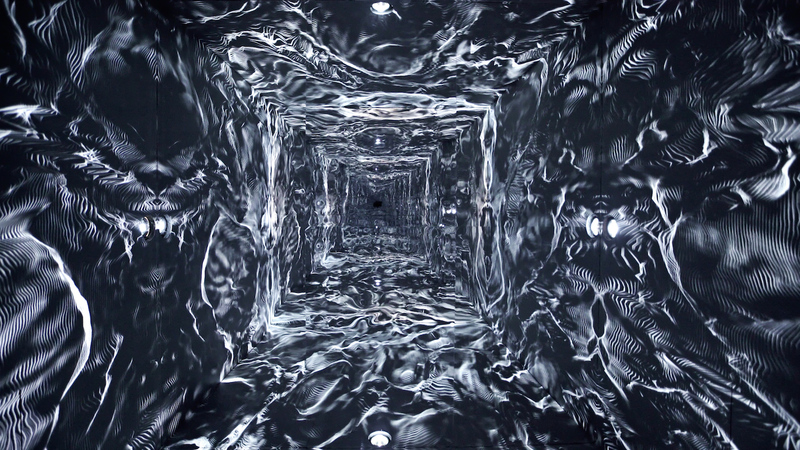 Lisa Park is a Korean-American artist who uses biometric sensors, such as heart rate and brain wave sensors, to create intimate environments that excavate hidden emotional states such as vulnerability, intimacy, and confrontation. Blooming highlights the importance of presence and physical connection in our lives. The work is inspired by Park’s experiences living abroad in the U.S. and feeling detached from family and friends back home in Korea. While our digital, globalized world allows us to always stay connected, what is lost when our most meaningful relationships are mediated through screens? Drawing on research from developmental psychology that highlights the importance of touch in human well-being, Park questions how our society’s lack of physical contact and presence might contribute to feelings of loss, alienation, dissociation, and melancholy. 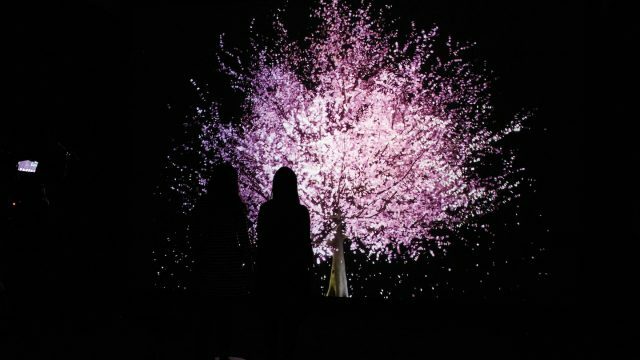 The installation, which takes the form of a life-size cherry blossom tree, responds to physical contact between two to four participants. When participants stand before the tree and hold hands or embrace, the tree will flourish; when they release, it will wither into its pre-bloomed state. Park’s work is augmented by advanced research at Nokia Bell Labs into sensor technology that enables the detection and determination of contact between people. 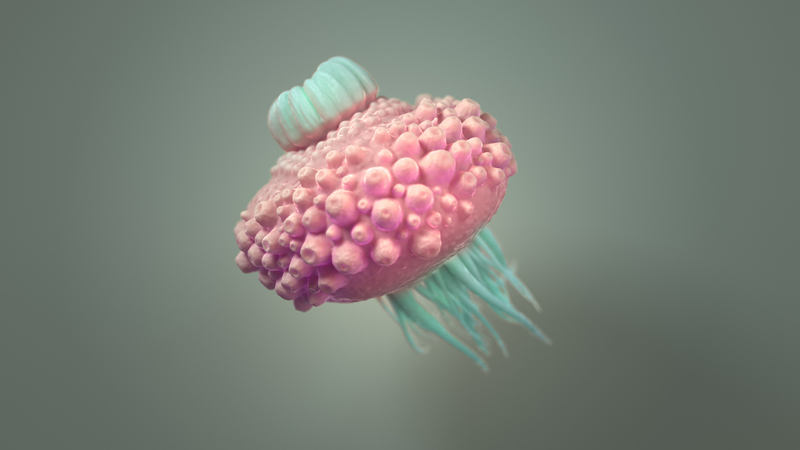 Blooming was developed during the 2017-2018 Experiments in Art & Technology (E.A.T.) Artist Residency program at Nokia Bell Labs, in collaboration with NEW INC, a program of the New Museum. What stories can be unearthed from a city using the data generated by its residents, visitors and workers? 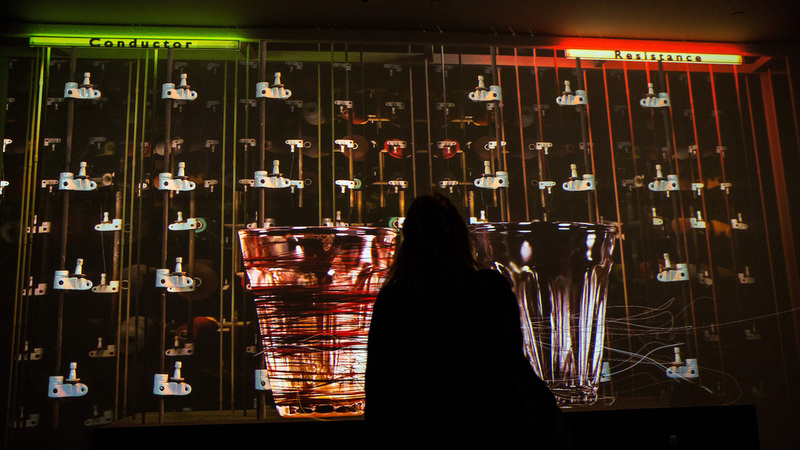 EVERY THING EVERY TIME transforms urban data into poetry presented on a mesmerizing, large-scale mechanical screen. During SXSW, EVERY THING EVERY TIME will draw on data streams generated by the many things and events that happen each day in Austin. 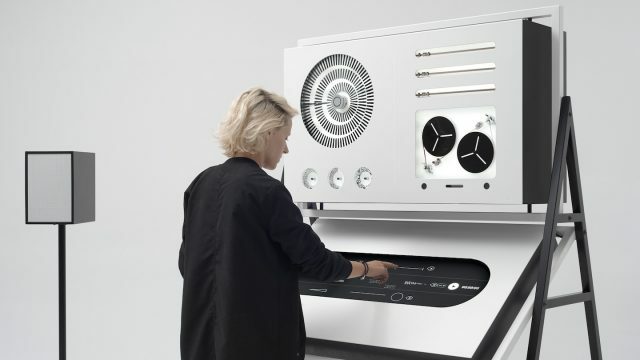 Passersby can watch as poetry is written in real time and revealed on a split-flap display. The artwork investigates concepts of the ‘smart city’; questioning notions of privacy, use and the role data has in our lives. “In EVERY THING EVERY TIME I have turned data streams into narratives formatted as poems. Data, stripped from its original context and purpose, becomes impractical poetry. 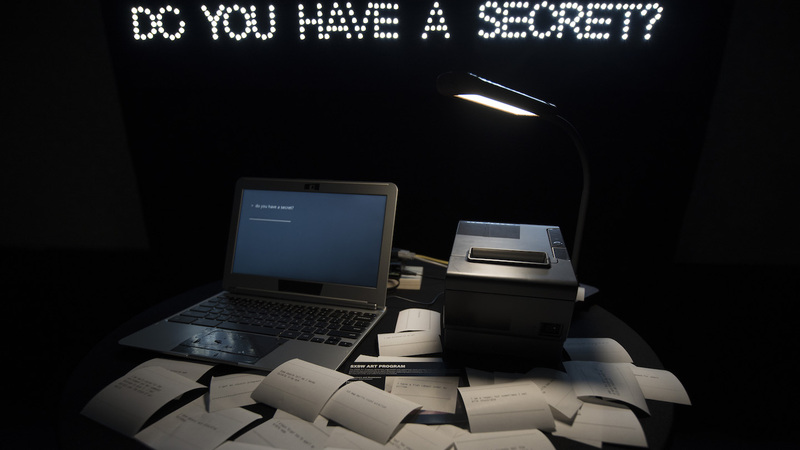 The work interrogates where data comes from, who owns it and how it’s used.” – Naho Matsuda, Artist. EVERY THING EVERY TIME is an artwork by Naho Matsuda, produced by FutureEverything. The work is part of the Future Art and Culture programme at SXSW, presented by British Underground and supported by Arts Council England. EVERY THING EVERY TIME was first commissioned in Manchester (UK) as part of CityVerve – a project creating a blueprint for smarter cities worldwide. 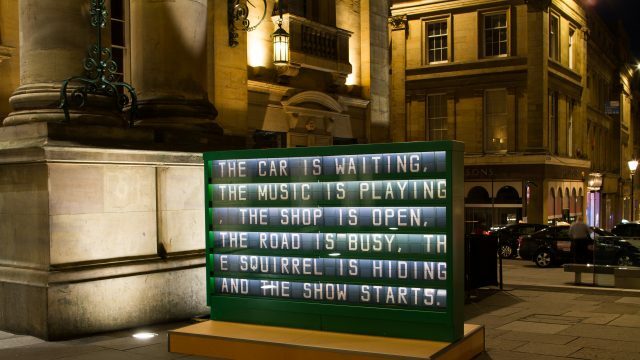 The work is part of the Future Art and Culture programme at SXSW, presented by British UndergroundandsupportedbyArtsCouncilEngland.E​ VERYTHINGEVERYTIME​wasfirst commissioned in Manchester (UK) as part of CityVerve – a project creating a blueprint for smarter cities worldwide. 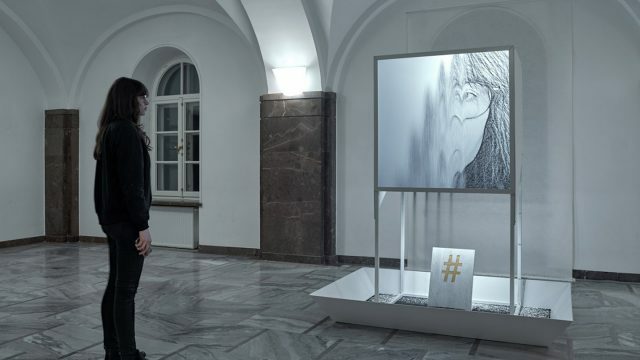 The installation consist of the display that prompts you to take a selfie on your phone, which it renders in digital particles on its large 1×1 meter screen. Then a moment later, your face scatters and falls apart and the real black gravel starts to fall at the bottom of the screen in perfect synchrony with the digital simulation. Gradually a dark mound builds up at the foot of the construction. 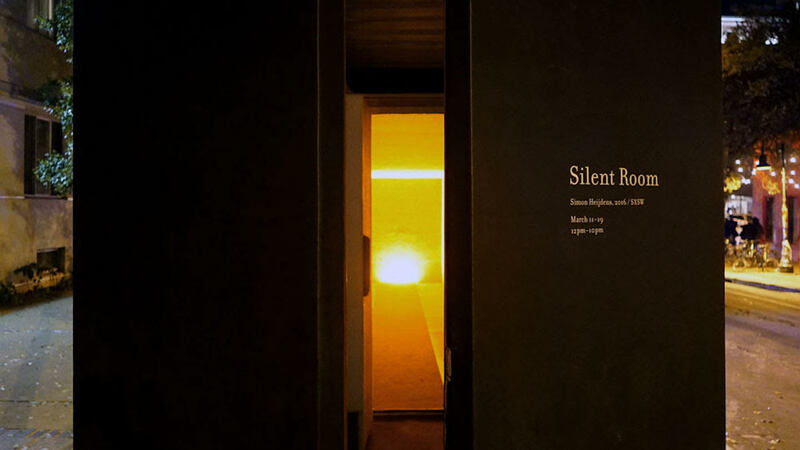 Supported by the Adam Mickiewicz Institute, National Ethnographic Museum in Warsaw, Polish Cultural Institute New York and Embassy of the Republic of Poland in Washington, D.C.
Semeion is an ever-evolving light and sound installation exploring artificial intelligence from an aesthetic and humanistic point of view. While AI is already an integrated part of our lives, it often exists as intangible systems working behind screens. 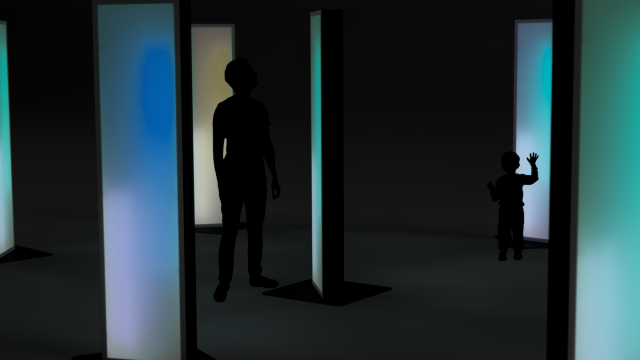 In Semeion, the AI manifests itself in several large minimalist structures, that individually and collectively respond to human presence. In its abstract form it evokes the human relation through its behavior. The viewer is invited to suspend their predispositions about AI, and engage with it in an explorative, curious way. The work is supported by Catch, Roskilde Festival and the Ministry of Culture, Denmark. 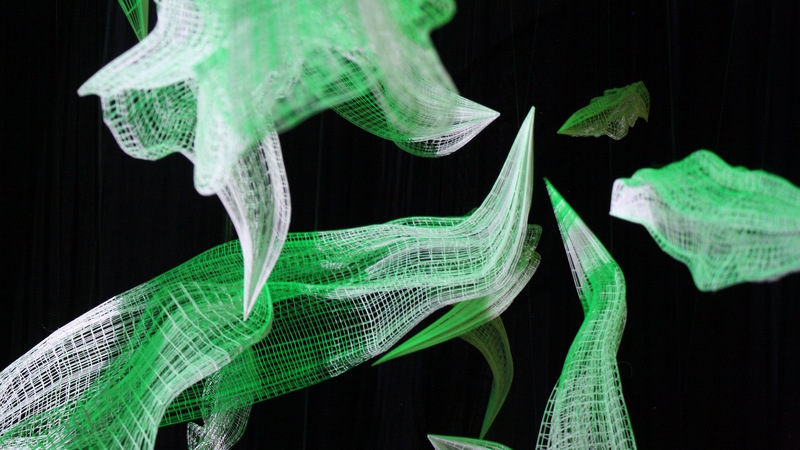 Weaving is a light art performance from the Mexican firm Cocolab. 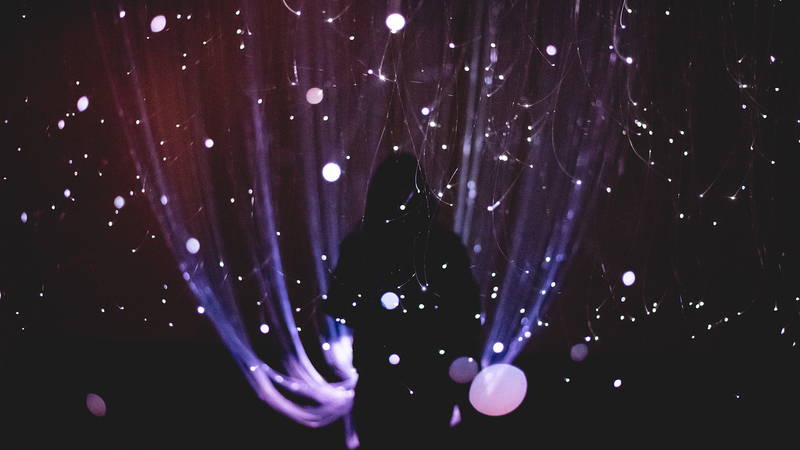 Inspired by the creation of textiles in Mexico through looms, the audiovisual installation uses a large ¨canvas¨ made out of strings of light as a medium of expression. Weaving is also a reminder that art and technology has existed together since the beginning of our culture. 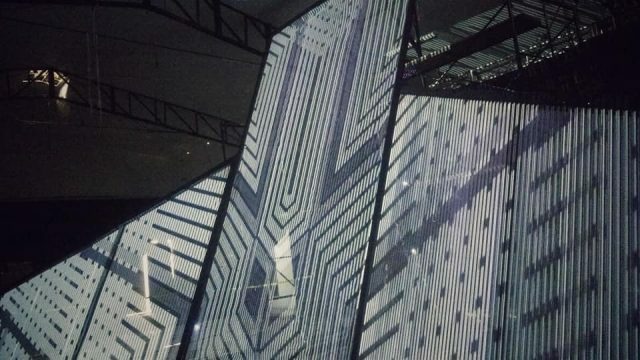 For this light art installation, Cocolab is taking sounds and colors from the Mexican weaving moment to create a digital representation of a weaving loom. Award-winning photographer Louie Palu will install a series of large format photographs frozen in large ice blocks on the plaza of UT Austin’s Harry Ransom Center on March 12, 2019 at 10 a.m. The photographs were made in the Arctic over the course of three years while Palu was on assignment for National Geographic. 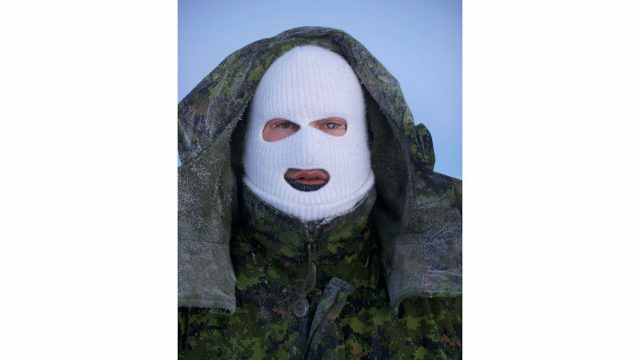 The project explores the evolving situation related to the geopolitics of the Arctic, it’s history, and climate change. Many of the photographs seen in this project are from some of the most inaccessible locations on the planet. The blocks will melt over the course of the day, gradually revealing the photographs. A related conversation at 4 p.m. explores this in-depth and critically important National Geographic project and its relationship to how we understand the Arctic. The panelists will include photographer Louie Palu, Sadie Quarrier, Senior Photo Editor at National Geographic and moderator Dr. Jessica S. McDonald, the Ransom Center’s Nancy Inman and Marlene Nathan Meyerson Curator of Photography. This project was supported by the Harry Ransom Center, Joan Morgenstern, John Simon Guggenheim Memorial Foundation, National Geographic & Pulitzer Center. 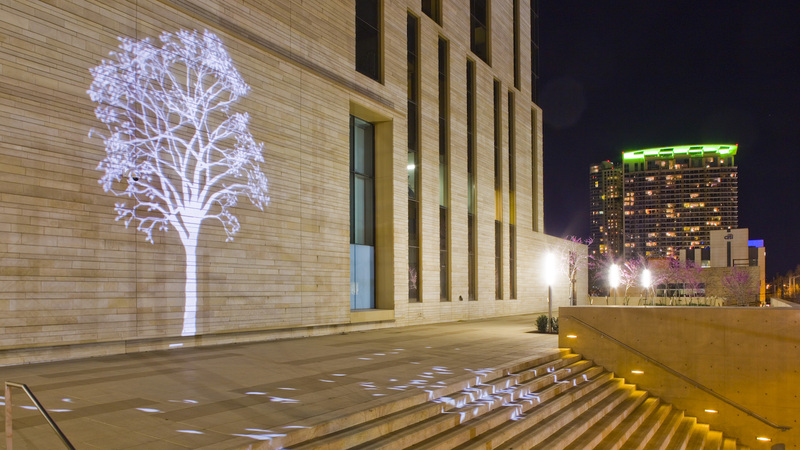 The installation and conversation will take place at the Harry Ransom Center. 300 W. 21st street. New for 2019 SXSW will host an Art Series of Sessions as part of SXSW Conference programming. Over two days, talks and panels in the Art Series of Sessions will take an in-depth look at the impact of technology on contemporary art and the creative community, with the goal of creating a dynamic discussion between patrons, curators, institutions, startups, technologists, designers and visual artists, addressing key topics facing the art world. This series will occur within the Design Track, on March 11 & 12. Get the lowest rates in Austin for SXSW by booking with the SXSW Housing Department and conference rates. Once you’re registered you’ll be able to make your hotel request from your SXsocial account or SXSW Shopping Cart.